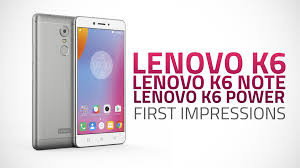 It has been promoted by Lenovo as a “kickass” device. And the K6 Power is counting on multimedia to live up to that promise. Here are our first impressions of the device. 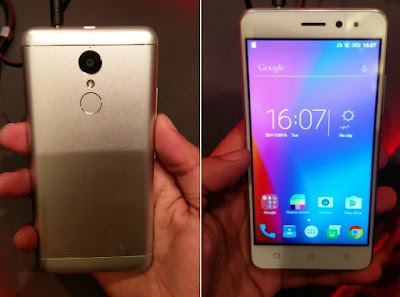 successor of the Lenovo Vibe K5 series, and is exclusively available on Flipkart from December 6th. display. The device will be available in Gold, Dark Grey and Silver color options, and we got the Dark Grey variant for the review. antenna band on top, Lenovo has placed the camera, followed by a flash and a fingerprint sensor (shades of the Redmi Note 3, remember?). The back of the Lenovo K6 Power also holds two Dolby Atmos speakers just above the antenna band on the bottom. The screen lock/ power button and the volume rocker are located on the right side whereas on the left the company has placed the hybrid SIM card tray. 4000 mAh battery along with reverse charging support. support and has Wi-Fi 802.11n, USB OTG, GPS and Bluetooth 4.1 as other connectivity options. All in all, our first impression of the Lenovo K6 Power was that it was good looking (but not of the “something we have never seen before” variety) and very compact and handy. Lenovo is counting heavily on multimedia for the success of this device – the integration of Dolby Atmos speakers and TheaterMax technology will allow the users to experience Lenovo’s brand of virtual reality. Whether it delivers on its promise of being as ‘kickass’ a product as Lenovo claimed will be revealed in our review in the coming days. As of now, we can sum up our first impressions of the K6 Power in two words: we like. Me now I'm scare of tech oo,sha behold for the old things are pass away, for the old has gone and the new has come.. One day the world will completely change.. The phone speaker is nice..